I keep a container with certain elements that I know I'll use again and again -- for example, the branch punch-outs -- near my desk at all times. I use different colors of cardstock that reflect nature (various greens, browns, tans) and keep them all together. Since the beach theme seems so popular with brides right now, I stamp images such as shells, sand dollars, starfish, etc. on scrap pieces of white or cream cardstock. I may color some, or leave them as-is, then trim and put into a small clear envelope (I save all the clear poly bags that pearls/gems/stickers come in, and use those). When it's time to make a card, I pull out those supplies, choose papers in colors of the sea and sand, and begin. ETA: adding this in to the Mixed Media Monthly Challenge, at the suggestion of my friend Donna! The theme is "Stamps." Yay! 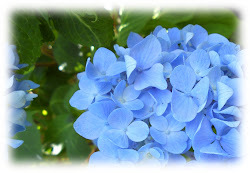 I hope you have a wonderful week, my friends! This is gorgeous! I loveeeeeeeeeee the shell and the mesh material!!!!!! It's beautiful, Colleen! I love the mesh....a super addition. Sounds as if you are really organized and that is always a good thing. A beautiful card, Colleen. Superb design. Thank you for sharing a bit of your creative process, too. I never think to color in advance. I'll mail you soon. Thinking of you a LOT! This is so beautiful and calming and very mixed media. You should enter our current Mixed Media Monthly Challenge - use stamps. PRETTY card Colleen, love the texture!! So beautiful, Colleen! 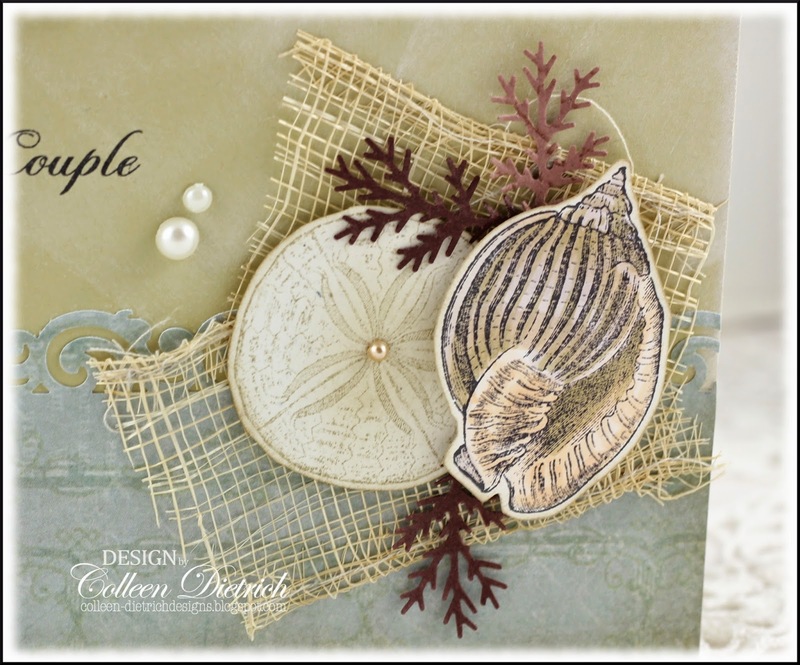 I love the sand dollar and shell and the bit of guaze is a perfect accent! I love these beach-themed cards. The colors are always so soft and pretty and the pearls are like treasures from the sea. Good ideas for moving things along. My card parts box is a jumble of this and that. I remember when you mentioned the huge number of photos you were editing and you had a lot of cards to share. That should keep your blog busy for a while! Love it. The sand and the ocean with some shells tossed in. Fabulously done. So pretty. I love beach/nautical themes. 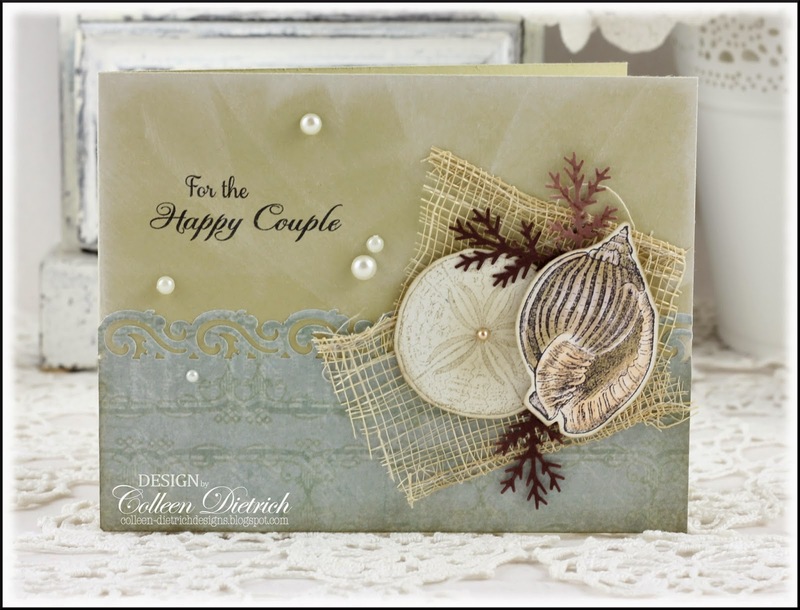 Love your beach theme card!! Thanks for joining us this month at The Mixed Media Monthly Challenge!! this is really really pretty! at first i thought it was a wrapped canvas for a happy couple... gorgeous card! Thank you so much for playing with the Mixed Media Monthly Challenge! 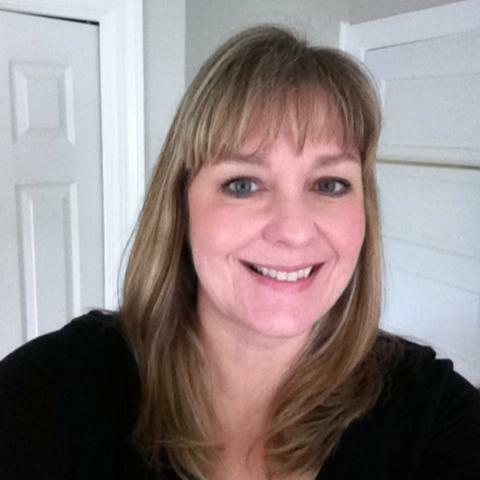 This is a beautiful Thanks for joining us at the Mixed Media Monthly Challenge Blog!